This is the BEST dry shampoo I have ever used! No powder residue and smells light and fresh! Directions: Apply it in layers, starting at the scalp (the old, turn-your-head-upside-down move works wonders here). You’ll be blown away at the volume… no dryer needed. Absorbs excess oil, allowing the product to brush out easily without residue. Leave hair soft and shiny for a just-washed look. This is my go to every time! I love the smell and it makes my hair look and feel awesome without weighing it down in between washes. I have naturally blonde hair that is very fine in texture. I’ve been told by numerous stylists not to wash it daily. Since I’ve stopped doing that, I’ve tried at LEAST a dozen brands of dry shampoo. 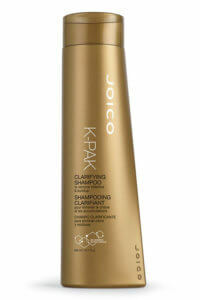 Joico is definitely one of my absolute favorites! The scent is AMAZING, the performance is well above “average” and the price is quite reasonable. Overall, I would definitely recommend this product. 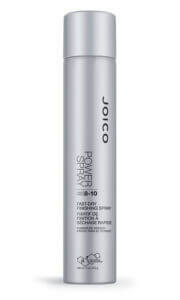 I have tried every dry shampoo known to man, this is my favorite. It goes on without any residue and works amazingly.